Another cost-effective launch system is on its way as LinkSpace unveils its new project. This system development attempts to break the monopoly of SpaceX. China’s first private rocket company, LinkSpace, reveals its project for a reusable space launch system which appears to be following the footsteps of SpaceX. The design of the new launch system is of similarity with that of SpaceX’s Falcon 9. LinkSpace’s New Line 1 (Xin Gan Xian 1) is a launch vehicle that could possibly compete with Falcon 9 in the future. The launch system was developed at the China Academy of Launch Vehicle Technology in Beijing. According to the researchers, aside from being cost-effective, this development would also greatly reduce the risk of debris falling to the ground. In China, LinkSpace is the first private company that has the objective of researching and developing aerospace system products. The staff lineup of the company includes aerospace experts who have several meaningful years of experience in the aerospace industry. LinkSpace unveiled the design at a recent presentation. New Line 1 is a small launch vehicle customized for microsatellite and nanosatellite. Its capabilities include sending around 440 pounds (200 kilograms) into a sun-synchronous orbit (SSO) between the range of 155 and 342 miles (250 to 550 kilometers). The two-stage liquid rocket will have a mass of around 33 metric tons at takeoff and will have a liftoff thrust of 400 kN. It will measure 5.9 feet (1.8 meters) in diameters, and 66 feet (20.1 meters) in length. Launching things into space cost a fortune and the development of the new system aids in the cost reduction of a single orbital launch. A New Line 1 new rocket costs US$4.6 million for a one-time launch and by reusing the rocket’s first stage, the cost significantly drops to just US$2.25 million. The company is targeting the year 2020 for its first orbital launch. Lower altitude hovering tests are currently being performed. Some of the recent works of LinkSpace include the achievement of the hover flight of rockets with a single engine vector control. Hovering flight technology plays a vital role in rockets’ recovery and reuse. Less than 10 companies, including SpaceX and Blue Origins, have the mastery of the aforementioned technology. Space Exploration Technologies Corp. is currently the only company to recover a rocket after an orbital launch. 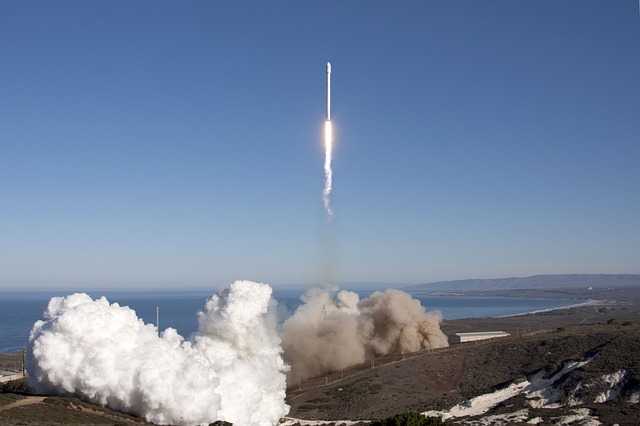 The company’s founder and CEO, Elon Musk, does not oppose competition as he even encouraged other companies to follow his company’s footsteps by developing their own reusable rockets. This launchers lift capacity is more in line with New Zealand’s electron then it is was Falcon 9. Or simply steal the avionics code. Then you do not have to do the real work.